The Great Barrier Reef, a UNESCO World Heritage Site since 1981, continues under death threat. The Great Barrier Reef extends into the Coral Sea in the South Pacific Ocean. Located off Australia’s Queensland coast, the coral reef is on the eastern side of the continent. It is so large that astronauts can see it from space. The threat to the reef and its consequential destruction comes from outside sources. The reef is the breeding ground for humpback whales and the endangered large green sea turtle and sea cow. Home to over 400 different types of corals, the Great Barrier Reef holds the largest collection of corals in the world. Corals are marine invertebrates. They are salt water creatures having no spinal column, similar to insects, lobsters, and clams. The corals and fish and other marine fauna all are able to survive because of their ability to thrive together in an ecosystem. An ecosystem is a community. The community transfers energy among and between its members, allowing all species in it to survive. It includes all of the living organisms and the dead organic matter produced by them. In essence, it is a vast biological recycling center. The Great Barrier Reef is an aquatic ecosystem with all of its members interacting with each other in ways that are not always obvious. The Australian Research Council (ARC) Centre of Excellence for Coral Reef Studies has been studying reefs. Its mission is to “achieve a better understanding of the science, both social and natural, that underpins the dynamic changes currently occurring in coral reefs worldwide.” The change that is occurring to the Great Barrier Reef is because of bleaching. Research has determined that coral bleaching is occurring at an alarming rate. Bleaching is exactly what it sounds like. As with washing clothes, bleaching strips away color and whitens its target. In the case of the reef, the death of Zooxanthellae bleaches away the color of the coral. These odd-sounding Zooxanthellae are algae. They live inside the coral and give it its distinctive colors. More importantly, they give the coral its energy. Using a simple analogy, terrestrial plants are green because of chlorophyll, which uses the sunlight to make energy for plant growth. Strip away the “color” and you strip away the energy source. 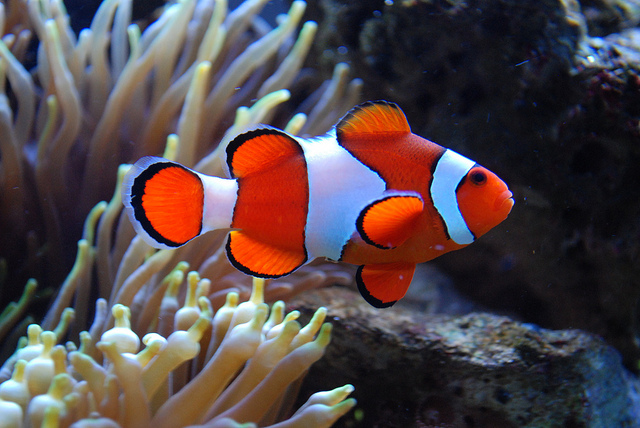 Zooxanthellae are very sensitive to thermal, or temperature, changes. As the temperature of the sea increases at a rate more that the algae can tolerate, they die. This is coral bleaching. The color goes away and all that remains is the transparency of the coral itself. Lack of color means lack of energy. A lack of the coral energy source results in the potential death of the coral. The death of the algae causes a death of the reef. This bleaching is the biggest environmental disaster to have afflicted the continent, according to Dr. Justin Marshall, as reported by National Public Radio in the United States. Marshall is a veteran reef scientist at Queensland University in Australia. Estimates suggest that the reef is only seven percent untouched by bleaching. This translates into almost the totality of the reef becoming colorless. As with any living thing, the more it becomes impaired, the harder it is to recover or tolerate any other or further change. Naturally occurring water warm spells do occur, but they do not account for such a massive threat to the Great Barrier Reef. Mass bleaching events in 1998, 2002 and 2016 have coincided with where the hottest water sits for the longest period. On a global level, as carbon emissions increase so does the warmth of the planet. As the planet warms, so do its oceans. On a more local level, effluent discharge into the sea can also be toxic to coral growth and reproduction. The death threat to the Great Barrier Reef will not just affect it, but the entire ecosystem of which it is a part.